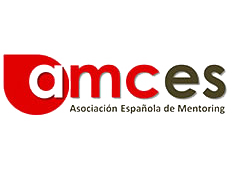 APMENTOR (Portuguese Mentoring Association) is a non-profit organization that aims to promote and develop the Mentoring activity at a national and international level, providing its members with a certification, information, tools and contacts with business and social entrepreneurs, facilitating cooperation. Highly qualified professionals with proven experience in sectors of activity, which may or may not be certified by APMENTOR, with the availability to help and support in various forms and levels. Entrepreneurs, companies, students and professionals can find support here to solve a problem, launch a project, test an idea or guide their professional or academic career. By bringing mentors closer to mentees, we intend to create long-term relationships by creating a network of support to the universes of entrepreneurs, businesses, professionals and students. In a word: Networking. Share your know-how and experience and help bring interesting and innovative projects to fruition..
Mindset Changer - Move-me o poder, que todos temos, de criar impacto positivo no mundo.